When Candida levels spiral out of control to the point of becoming an overgrowth, this can leave people susceptible to various symptoms, diseases and malfunctions. That’s when it’s time to see a Melbourne Natural Medicine Clinic naturopath. 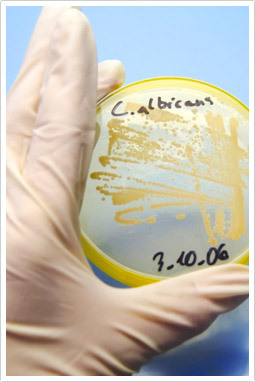 Candida treatment at our clinic can help you to maintain healthy Candida albicans levels that remain at safe counts. An immune system that has become weakened, usually as a result of heavy or prolonged stress, is one of the primary causes of Candida overgrowth. Often the weakened state becomes exacerbated when combined with a heavy use of antibiotics as well as a high intake of carbohydrates and sugars. The key to curbing Candida overgrowth – and avoiding the need to see a naturopath for Candida treatment – is maintaining a healthy digestive system and a high fibre/nutrient intake. If your digestive system’s functionality becomes impaired, it can result in the overgrowth of Candida albicans. A healthy digestive system enables you to consume foods and have them work their way through your bowels and intestinal tract in a safe and fast manner. External factors such as extreme stress, insufficient physical activity, a high-carbohydrate diet and not getting enough sleep can all affect how well your body can process food. A MNMC naturopath can prescribe Candida natural treatment that aims to alleviate the symptoms and treat the cause of the overgrowth. Prior to seeing a naturopath for Candida treatment, it may be suggested that you be tested to verify the presence of Candida. The type of test the naturopath administers will largely depend on the infected area. Stool tests, tongue analysis, vaginal swabs and saliva tests are some of the options available to determine Candida infection in the body. Bring your body back to balance by seeking a more natural treatment. Candida remedies are provided by qualified naturopaths in the discreet, relaxed setting of our clinic. All of our practitioners are trained in detecting Candida overgrowth and can help you to feel restored and rejuvenated. They take a holistic approach that addresses any overall health and lifestyle factors which could be contributing to your condition. Our clinic is located at 49 Chetwynd St, North Melbourne. To book testing and natural treatment for Candida at Melbourne Natural Medicine Clinic, simply book online, email us, or phone us on (03) 9686 2566.